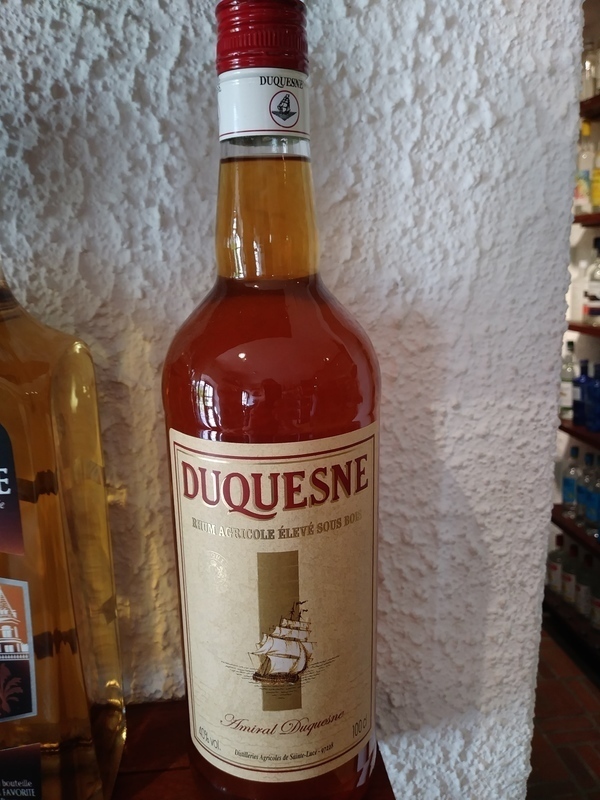 Have you found an online vendor selling Duquesne Élevé Sous Bois? Visited Martinique over the Holidays and bought a bottle of Duquesne Rhum Agricole Eleve Sous Bois from a local grocery store since I could not locate their distillery in the entire island. Cheap bottle and label design. Cheap at EUR 14 per bottle. Golden color. Typical dry Rhum Agricole flavors alongside grass, vanilla and plenty of oak followed by a strong burn being so dry. Rhum Agricole fans can easily add 2 points to my score. This lightly-aged rum agricole exhibits good character. Strongly briny on the nose, with a mild sweetness. It's got some kick, but not as much as, say, La Favorite. At 80-proof, it's surprisingly low-alcohol. It's fine, but didn't really stand out for me. I go through a ton of this rhum for my drinks but it does not quite stand up to Rhum JM or Clement when it comes to the eleve sous bois. Left it with a pretty high rating since it beats out the others on quantity per price.